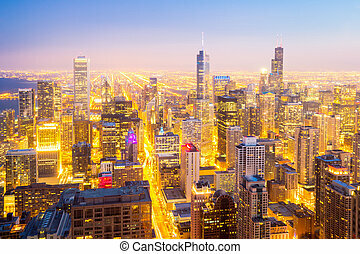 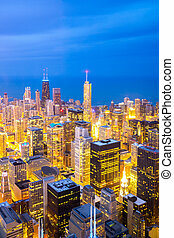 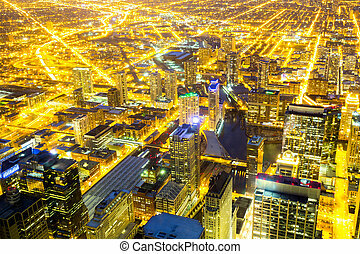 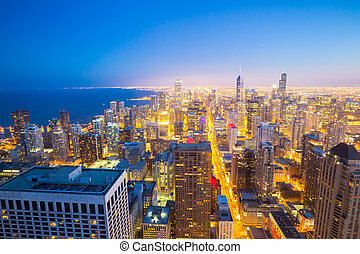 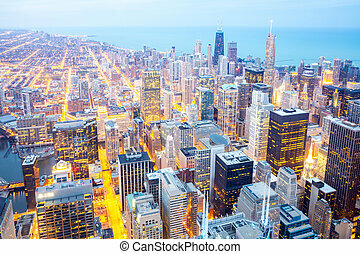 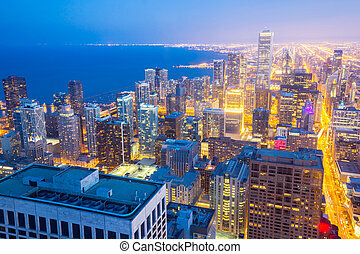 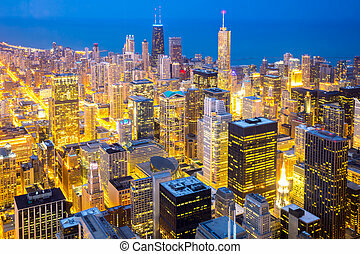 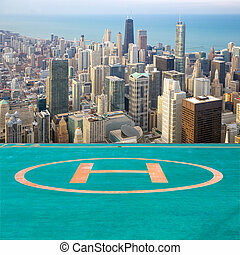 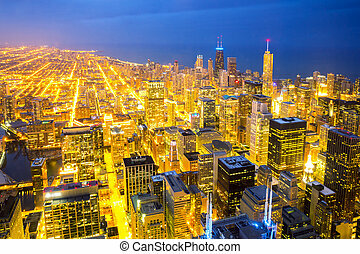 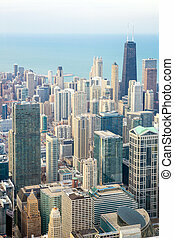 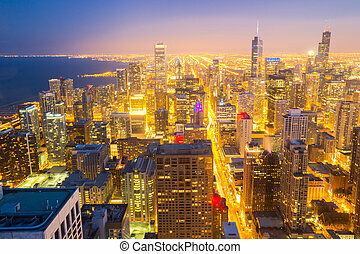 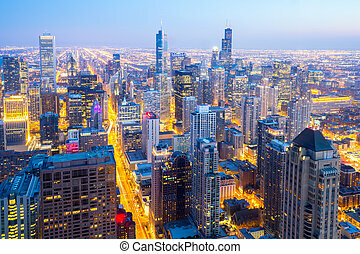 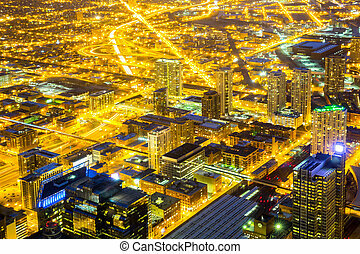 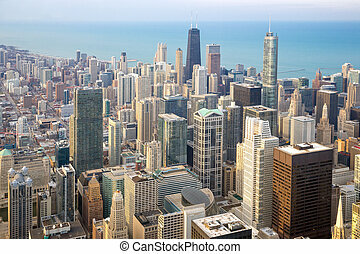 Aerial view of Chicago City downtown at dusk. 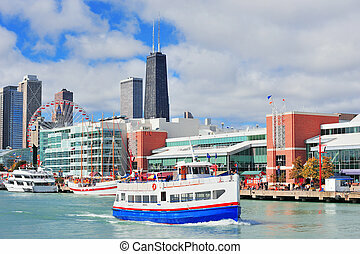 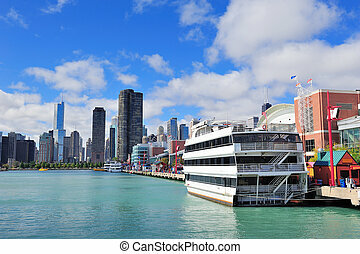 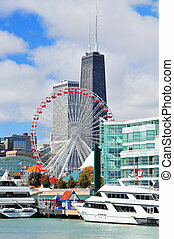 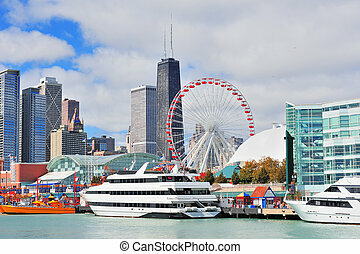 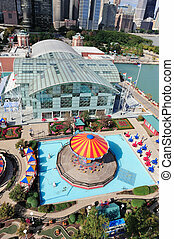 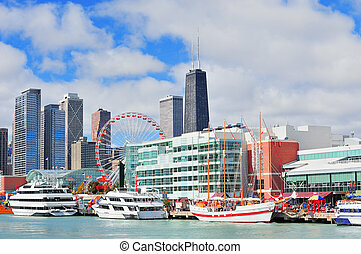 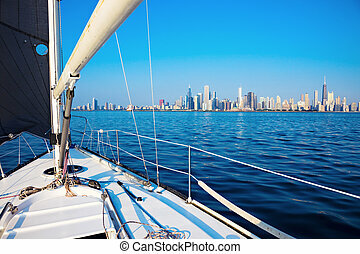 Sailing in Chicago. 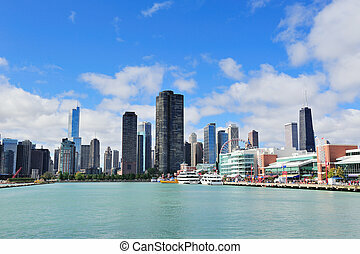 City downtown seen from the boat. 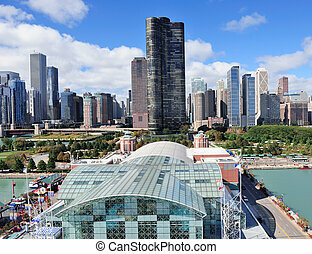 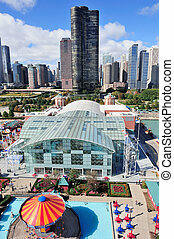 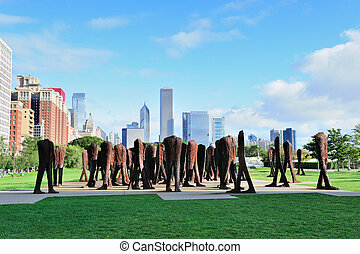 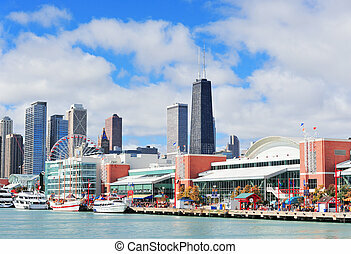 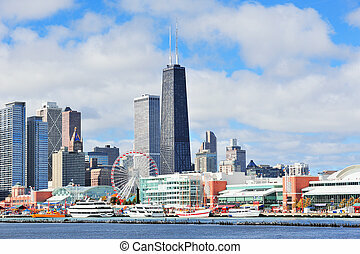 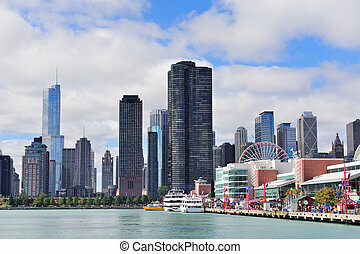 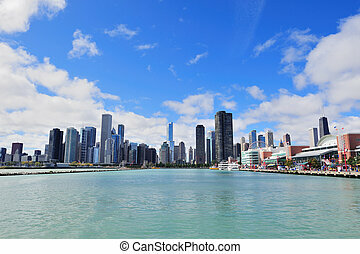 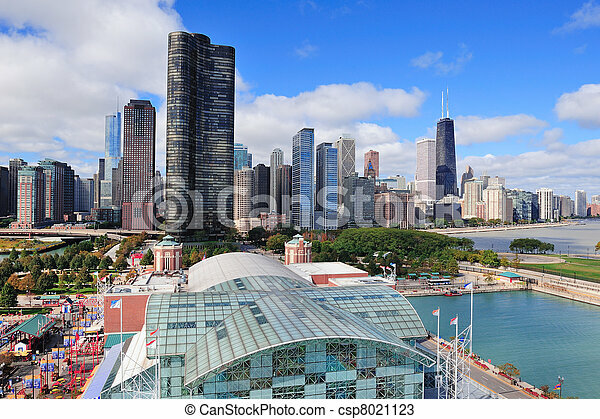 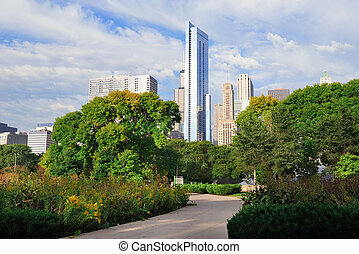 Chicago city downtown urban skyline with skyscrapers and cloudy blue sky over park.